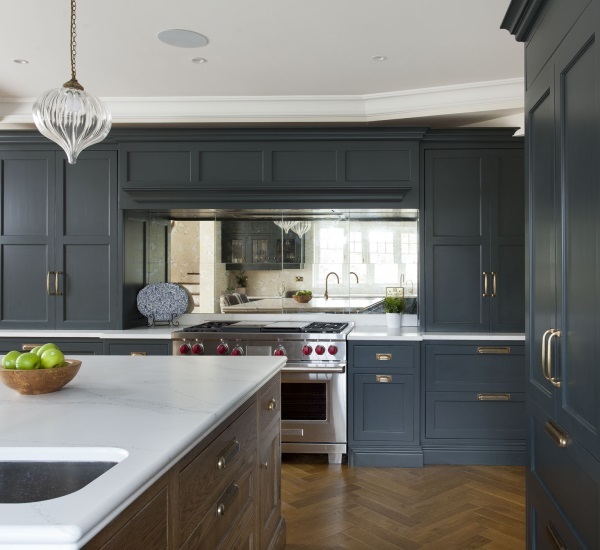 This striking New York Loft inspired kitchen was commissioned to sit in a beautiful 19th century Regency townhouse. 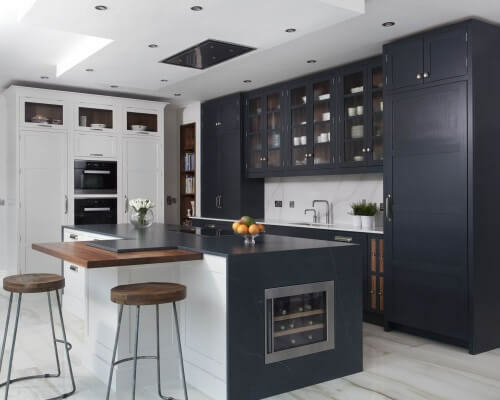 The generous proportions of the room have been utilised to create extra tall storage, complete with ladder and rail for access. 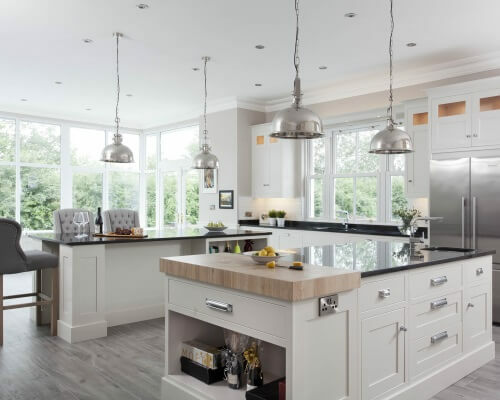 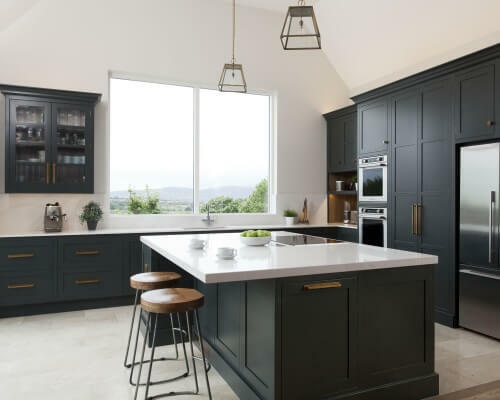 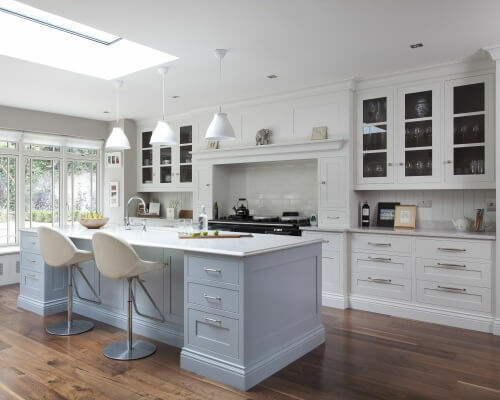 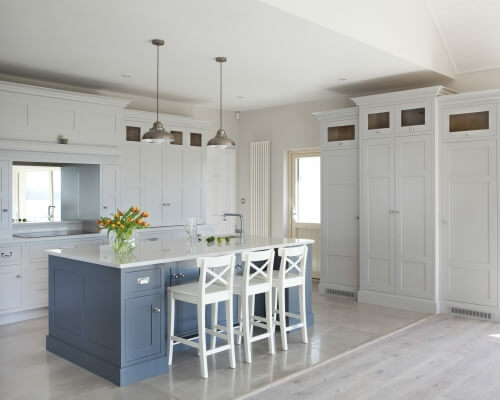 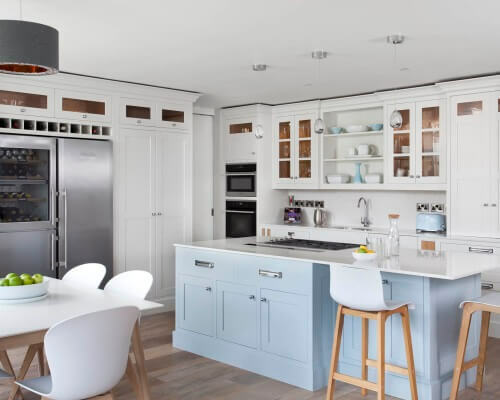 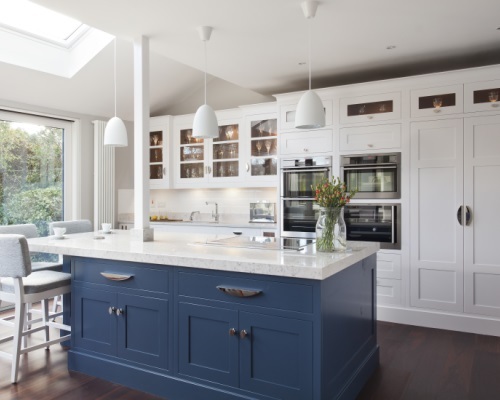 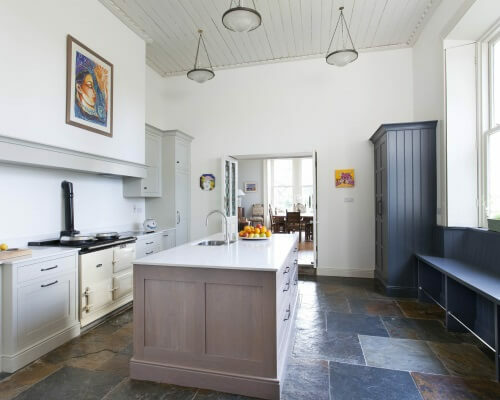 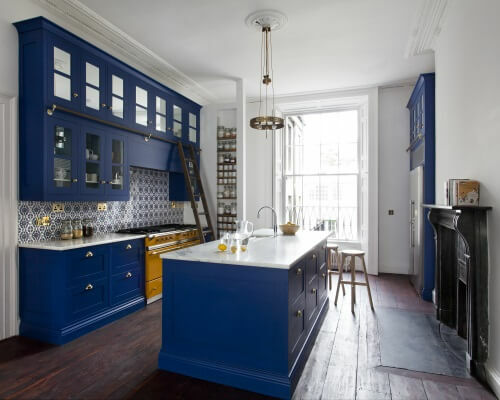 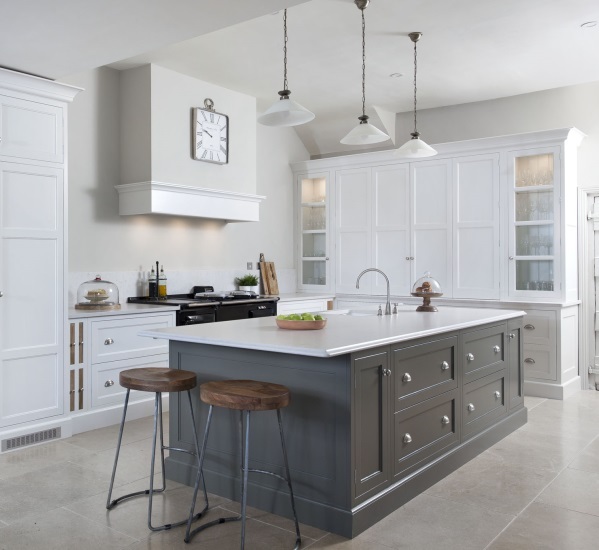 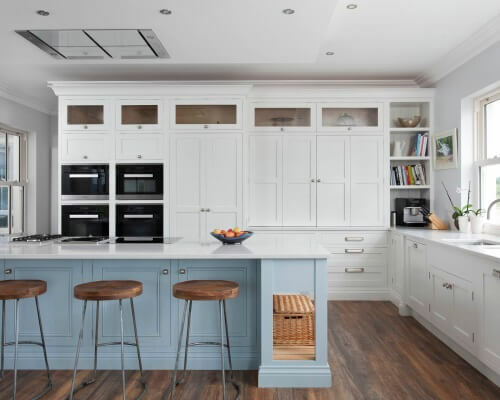 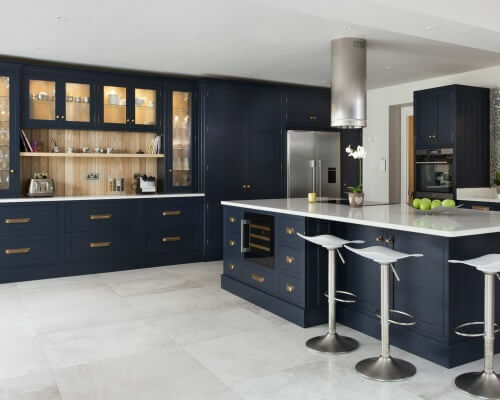 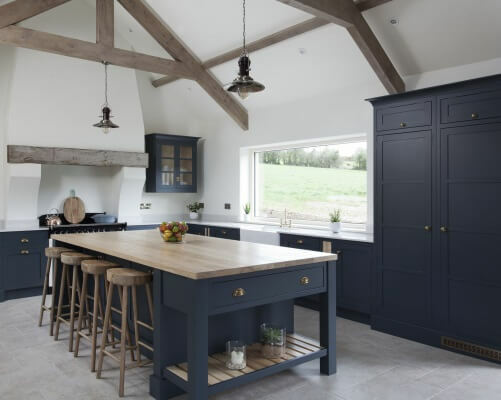 The cabinetry was painted in Deep Sea Blue by Little Green, with marble worktops. 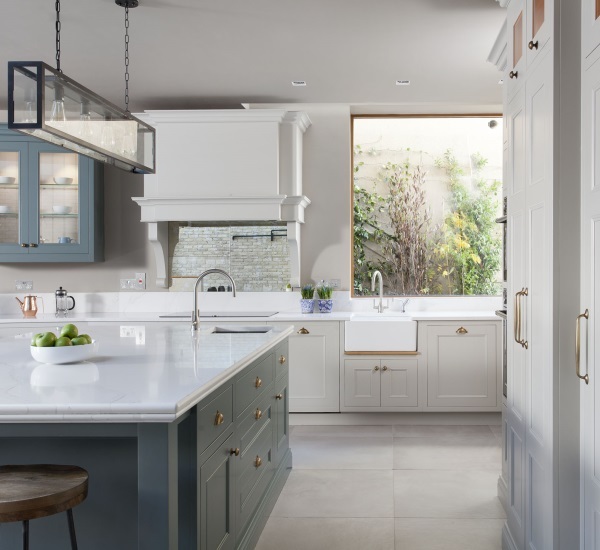 Polished brass handles and hardware compliment the fittings on the dramatic yellow Lacanche range cooker.